By The Duke Ellington Orchestra. Edited by Rob DuBoff and Jeffrey Sultanof. Arranged by Duke Ellington. Swing, Jazz. Score only. Published by Jazz Lines Publications (JL.JLP-7408S). This arrangement was written by Duke Ellington in late 1963 or early 1964 and was first performed in Sweden on March 9, 1964. This is a piano and trombone feature, written to showcase Duke and Lawrence Brown. While on tour in Europe during that year Ellington introduced several pieces as Impressions of the Far East. 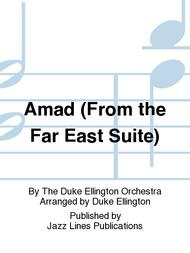 At that time the Suite consisted of Amad, Agra, Bluebird of Delhi, and Depk. 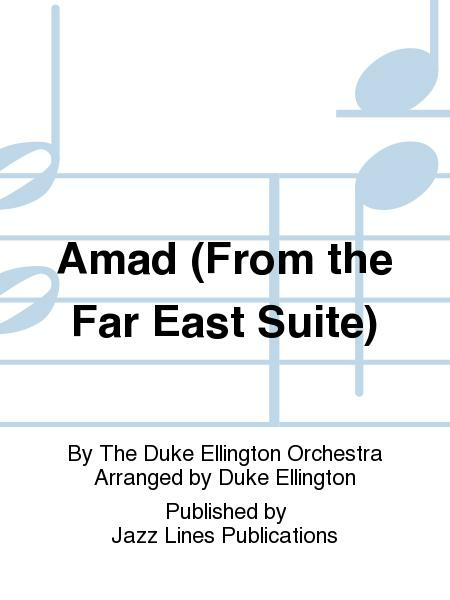 Agra and Bluebird of Delhi were written by Strayhorn and Amad and Depk were written by Ellington. As the notion for a full-length suite began to take shape several more pieces were composed: Ad Lib on Nippon and A Tourist Point of View, both composed by Ellington, and Mount Harissa and Blue Pepper, possibly composed by both Ellington and Strayhorn (scores have not been located for these two movements; hence, authorship is in question). Isfahan was recorded on December 20, 1966 to be included in the Far East Suite. This publication is based on the original set of parts as well as Duke Ellingtonâ€™s sketch score and the 1966 studio recording. As was often the case there was no piano part in the Ellington library and the bass part doesnâ€™t survive. For this publication, Duke Ellingtonâ€™s piano solo has been transcribed. Alto sax 2 and tenor sax 2 double clarinet. Instrumentation: Full Score, 2 Alto Saxophones, 2 Tenor Saxophones, Baritone Saxophone, 4 Trumpets, 3 Trombones ,Piano, Bass, Drums.